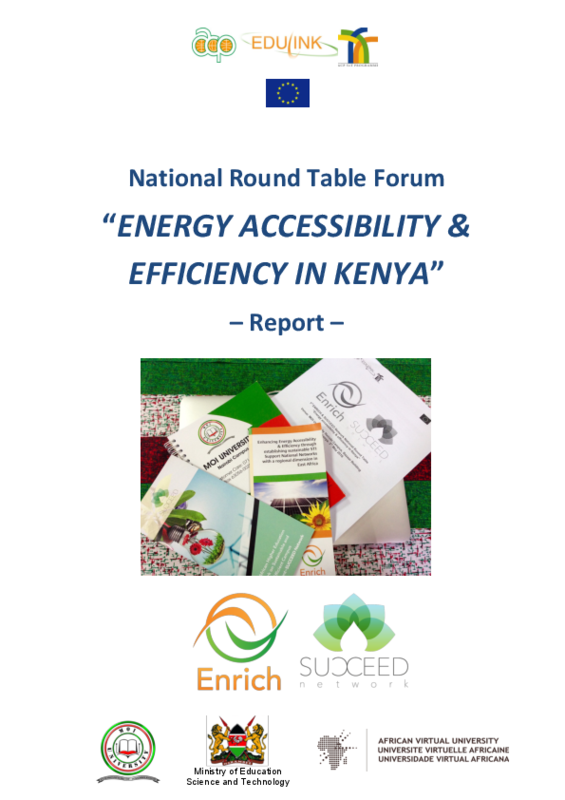 The 2nd National Round Table Forum on “Energy accessibility & efficiency in Kenya” was held on March 10th at the Nairobi Campus of Moi University in the framework of the ENRICH & SUCCEED Network ACP S&T and ACP Edulink projects. The event was jointly organized by Moi University, African Virtual University and the Ministry of Education, Science & Technology, Kenya. 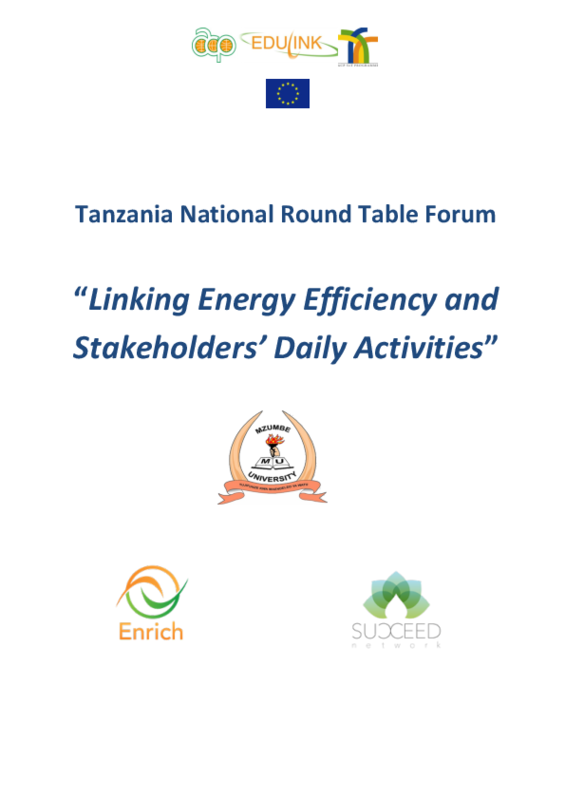 The 2nd National Round Table Forum on “Linking Energy Efficiency and Stakeholders’ Daily Activities” was held on March 29th and 30th at Adrian Mkoba Secondary School in Morogoro, Tanzania, in the framework of the ACP S&T project ENRICH & the Edulink project SUCCEED Network. 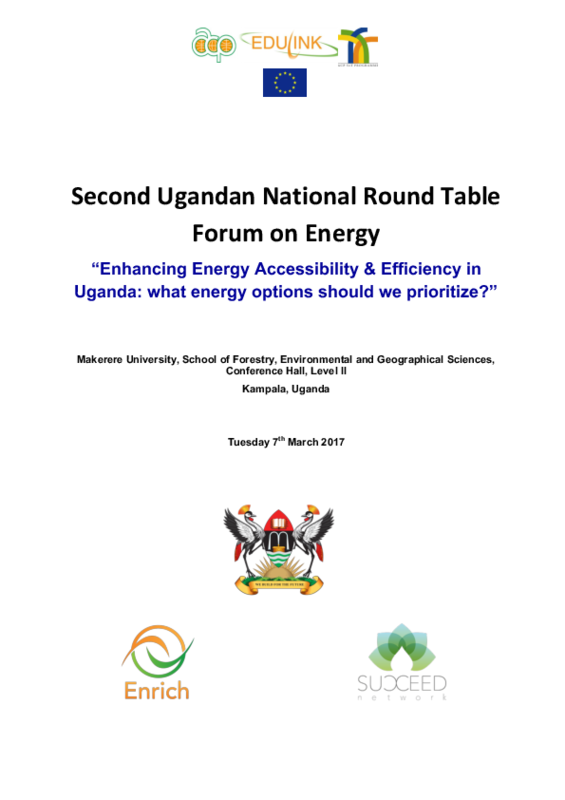 National Round Table Report "Enhancing Energy Accessibility & Efficiency in Uganda: What Energy options should we prioritize?" 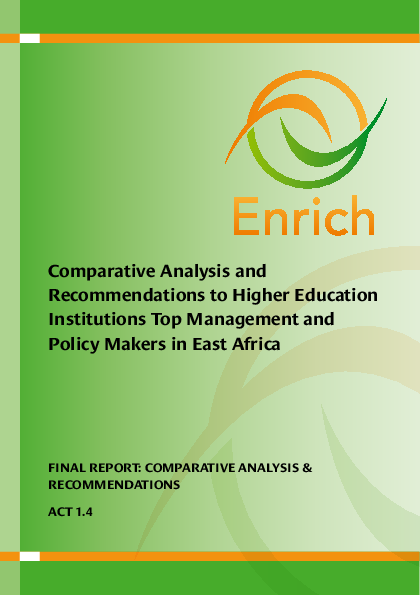 As part of implementation of the ENRICH project, a benchmarking survey of Science, Technology and Innovation (STI) institutions in Kenya, Tanzania and Uganda was conducted in July-December 2014, targeting key energy sector stakeholder institutions including Higher Education Institutions (HEIs) and Other Institutions (OIs). This activity looked at the innovation ecosystem in the East Africa - STI policies, initiatives and support services. 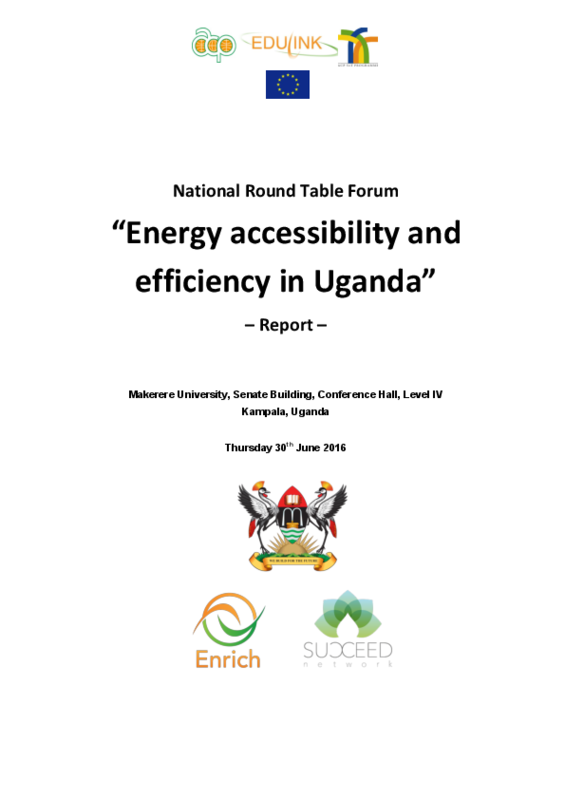 The 1st National Round Table Forum on “Energy in Uganda” was held on June 30th at Makerere University in Kampala, in the framework of the ACP S&T project ENRICH & the Edulink project SUCCEED Network. The aim of the event was to bring together the main stakeholders in the field of energy in Uganda. 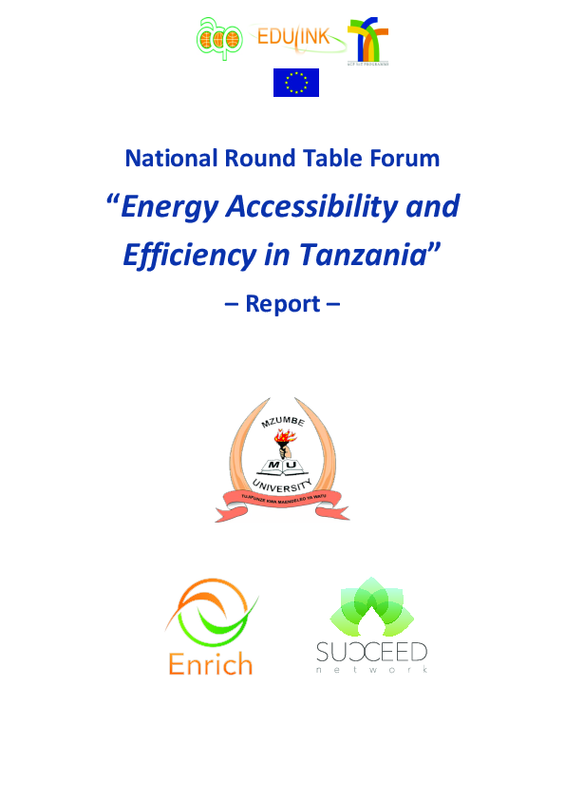 The 1st National Round Table Forum on “Energy Accessibility and Efficiency in Tanzania” was held on August 2nd at Mzumbe University in Morogoro, in the framework of the ACP S&T project ENRICH & the Edulink project SUCCEED Network.The aim of the Round Table was to bring together the main stakeholders in the field of energy in Tanzania. 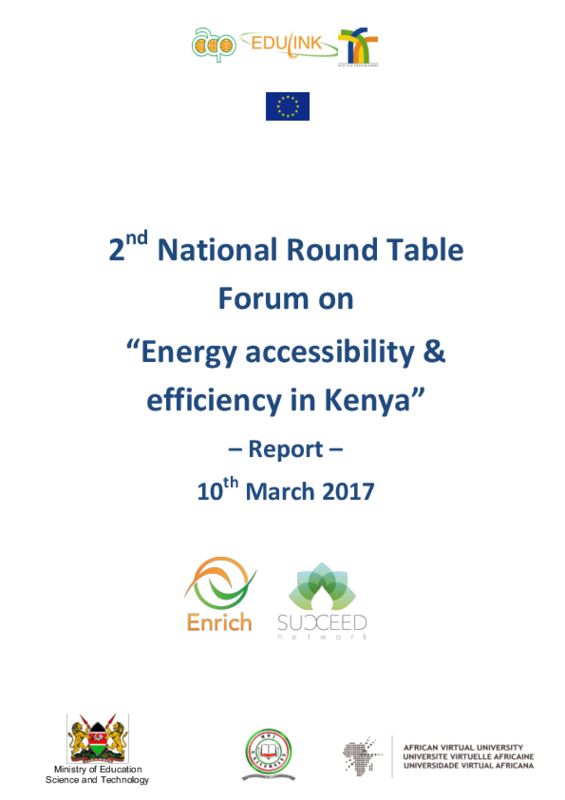 The National Round Table Forum “Energy accessibility & efficiency in Kenya” was held on May 3rd 2016 at the Nairobi Campus of Moi University. 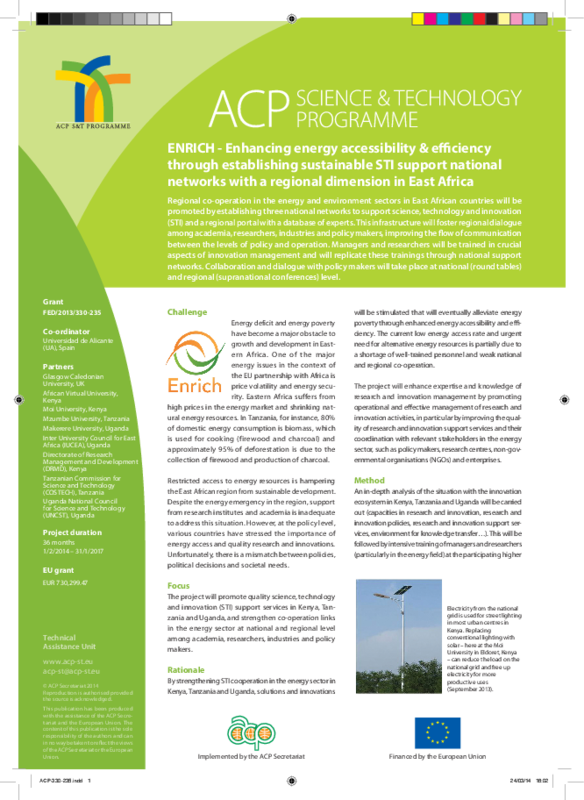 It was organized in the framework of the ENRICH & Succeed Network ACP S&T and ACP/Edulink projects. 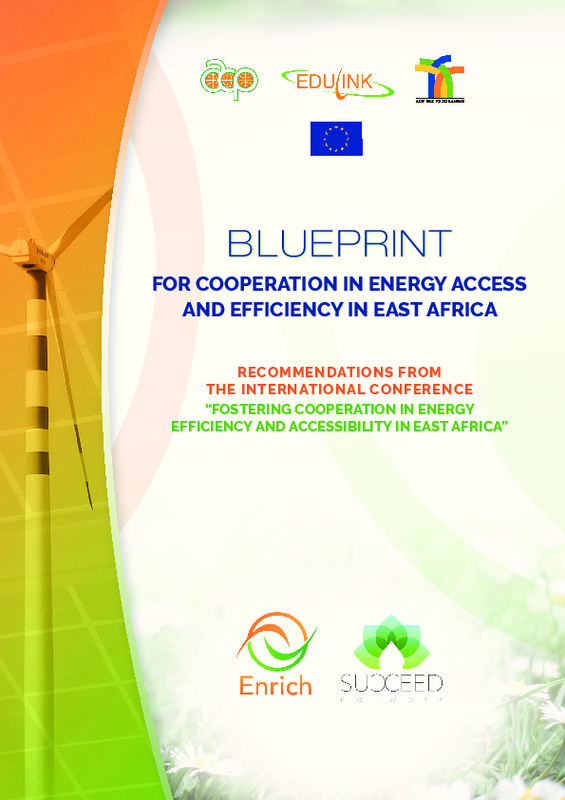 The aim of the event was to bring together the main stakeholders in the field of energy in Kenya (including higher management and researchers from Higher Education Institutions, research & project managers, policy makers, managers from energy industries, experts) to exchange ideas and discuss energy issues at a national level in Kenya. Green Growth and Climate Technology Innovation Economies around the world are re-orientating towards low-carbon, green growth paths. 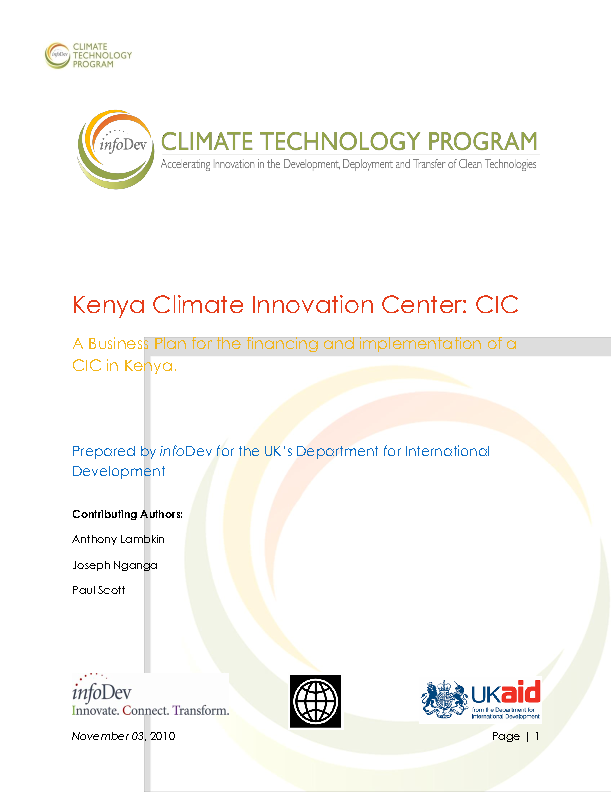 Technology, and its deployment and diffusion, is acknowledged as a key factor in efforts to mitigate and adapt to the current and future impacts of climate change. Therefore, accelerating innovation and technology transfer is in global focus. As an economic hub of East Africa, Kenya is a key stakeholder in this effort.